Yes, the rumors are true and we are finally closing in on the release of design creation products. Some Background. You can skip this if you don’t care. The term, “digitizing” comes from the ancient CAD/CAM drafting boards that were used in the 70’s and 80’s. It has never fitted our industry that well, so we are dropping it from our vocabulary, any time we’re able. The first design creation program I wrote was started in 2001 and it’s purpose was to help me create the designs that eventually became the Designer’s Gallery Interactives. It was a world’s-first in a lot of ways, including freestanding lace, sashiko stitching, fringe and a bunch of other items. But we didn’t sell it. Rather, we used it to create things. It was also a raw tool that really couldn’t be sold – it wasn’t designed for that. We released Convert It, Mac in April, 2008, and doing so, we brought Mac back to the embroidery scene. At that time, we planned to bring Mac the entire world of embroidery, mostly because nobody else was doing it, and we knew we could. Naturally we knew that would eventually mean design creation. So we started designing a platform that would be capable of Mac and Windows UI with fast C++ code under the hood doing the heavy lifting. But the only way for us to afford writing for Mac was to be a serious Windows software player too. In the meantime we had been developing a whole technology to make embroidery easy, intuitive and fun. Many thousands of you have used our Designer’s Gallery products since 2000 and can understand. Our mission is to be the software that anyone can USE, not to have every feature imagined whether useful or not. The numbers are startling – our products get used by their owners everyday. This means our mission is much more difficult than others. What do I mean? Take a look at the shelf in your sewing room. You probably have a bunch of stuff you’ve bought but don’t know how to use, or it is simply a letdown. But you actually use Embrilliance – and that means no sleeping on the job for us! The Embrilliance Platform had as its earliest design goals to be able to host design creation. Some of the things people might wonder about in the Embrilliance interface will make sense when they see StitchArtist. The first product, Essentials, 4 years old this Christmas, was built on the platform with this design in mind. Now, you may be wondering, why is it taking so long?” The answer is that it isn’t easy. Plus we don’t have the revenue of those large machine brands so we can’t just hire a programming team to come in and help. If we did, we’d have to price the program in the thousands of dollars range like everyone else. And think about that — $2,000 doesn’t cut it, they really need $4,000 to give you ‘the works.’ And that’s only a half-baked program, which maybe 10% of the users use 10% of the features. The commercial folks pay $8,000, $10,000 or even more with everything. Well, we’re Embrilliance and we don’t do it that way. So what are we doing? Our little team has been working for years to get something better. And to build-up the brand enough to be able to support it. At long last, we’re able to tell you about StitchArtist. A quick look at the StitchArtist(tm) levels. The product exists in levels. The levels are upgradable. The same license terms you are used to with Embrilliance will be the same for this. You will be licensed to use your serial number on as many machines as you own, and you can mix and match Mac and Windows computers. There are no dongles. Level 1 is designed for people who need to make simple things. Applique shapes, runs, fills – when you just wish you could add some stitches, with no learning curve, without going into debt, this is it. You’ll be able to create designs for under $200. This is for those who want to ease into the process of design creation, and aren’t afraid to learn something. Design creation is a skill – not as difficult as painting – but it takes time to learn the craft, as well as the use of the tools. When you are an artist who wants to ease into embroidery, Level 2 is for you. And once you master this, you’ll quickly want to move up to level 3. Level 2 will be priced as an upgrade at about the same price as level 1, or as a single serial number. This is a product that people with some skills can use to create designs. It is reasonably comparable to the higher-end products in the market today. Level 3 will be priced as an upgrade at about the same price as a full version level 2, or as a single serial number. If you’re trying to do the math that means around and possibly under $800. For anyone who needs to do commercial work, like logos etc, this is your level. Also the more artistic stitches will be in here for those that really like to push their software. Sometime next year, we’ll stretch further into the commercial space features, plus we have some things still hidden up our sleeves. It starts with an image. On the left you can bring in existing images. Yes, the people who think they want vectors have their button (even though they don’t want vector art, but they don’t know that yet). Yes, you can also add in a TrueType design as art. Time to be a StitchArtist. 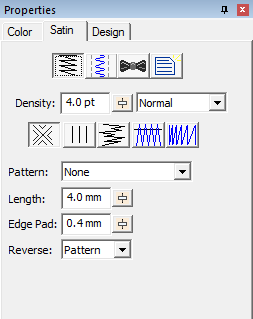 You will see a set of tools labelled, “Draw”. You can draw by clicking lines, using normal Bezier methods, use magic wands, etc. Those tools help you make shapes that will be filled with stitches. One thing that has always bugged me in other programs was the use of ‘Modes’. You needed to select with one tool, re-shape with another, and edit sometimes only with special modes turned on. It has taken years of tinkering, but we have gotten rid of all ‘modes’ in the design creation and editing process. This is worth the price of admission all by itself. If you have ever used another product, you’ll understand. Once you have your shapes, you need to set the stitch. The usual suspects are all there. And a few new ones you haven’t seen before. We may have left out some things, but if we did, it’s for good reason. 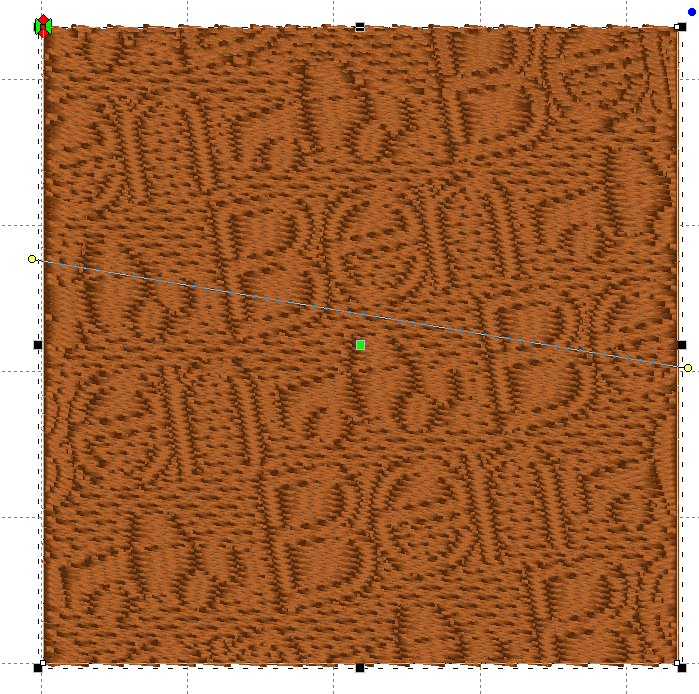 Any shape can be converted to any stitch type, even after its been set. As I describe these features, realize it is Level 3, for completeness. Please don’t ask for specific items at specific levels at this time. Stitch types include runs: stemstitch, backstitch, chainstitch, sashiko etc., motif-combined runs with scaling features, program runs such as french knots, candlewicks, eyelets, automatic satin columns, satin borders, all kinds of satins with feathering, gradient, contour, splitting and patterns, fills — adjustable curved fills, motif adjustable curved fills with gradients and feathering — stippling, echo quilting, radial satins, starbursts, freestanding backgrounds, fringe stitches, line carving, embossing patterns, etc. Yes, its a long list, and all necessary for a proper Level 3. Now, many people have heard of CorelDraw or Adobe Illustrator but they don’t have them. Why? They are expensive. Why? Because writing these tools is extremely difficult and it is not a science – it is an art. There is no book you can open and it says, “Here’s how to do it.” And even with hundreds of thousands of customers, those companies still have to charge $500-$1000 and sometimes that’s per year. Well, the thing is that design creation — without original art — means you need some kind of tools that do those things. So we built those in to Level 3. And if you do have to bring in vectors, you will need to be able to modify those for embroidery. Yes, but I have to get back to writing it, and don’t have enough time to tell you all about it here. Why not just put the Level 1 out earlier? Some of the stitch items that seem simple – because you the user has to know little or nothing to use it- are actually the most complex and difficult to implement. And the user interface has to be consistent all the way up, and until you get it all ‘sort of working’ you cannot tell how well it will work. So quit teasing and tell us when! Yes, I know, you are all anxious. We have some things to do, like writing a manual, and testing the product. We are within weeks of being able to sell Level 1 and Level 2. And Level 3 should be ready within a month or so. Therefore, you could ask Santa for it. On behalf of myself and the team here at BriTon Leap, we thank you for your business, and your continued support of our efforts. Posted 4 years, 6 months ago at 12:34 pm.